Originally from Sheffield, England, Jameson Cooper began playing the violin at age 6. At 13 he joined the National Youth Orchestra of Great Britain and later became concertmaster of the National Youth Chamber Orchestra. He studied at The Royal Northern College of Music, where he earned a Graduate of Music Degree with Honors and a Professional Performance Diploma. Mr. Cooper first came to the U.S. as a participant in the Aspen Music Festival. Since then, he has studied with Dorothy DeLay, Masao Kawasaki, and Roland and Almita Vamos. He earned Masters Degrees in Violin and Conducting from Kent State University, where he later served as Assistant Professor of Violin and Viola at the University's Hugh A. Glauser School of Music. He has performed as soloist with orchestra, recitalist, and chamber musician throughout the U.S. and Europe. In the 2001-02 season, Jameson played in the Audubon Quartet in its Beethoven Quartet cycle series. Mr. Cooper has recorded Icelandic music for Musart, and an disc of new music for solo violin by Kent State University composers on Centaur Records. His most recent album features music by Prokofiev for violin and piano, with pianist and IUSB colleague Ketevan Badridze on Afinat Records. 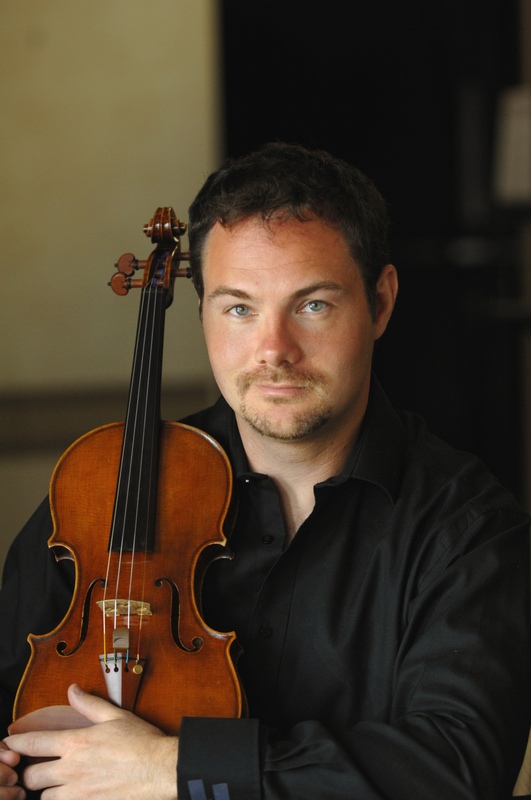 Jameson has given masterclasses at Oberlin Conservatory, Virginia Tech, Michigan State University, and Morningside College, and regularly serves as judge for the Fischoff Chamber Music Competition Senior Strings Division. He is a founding member and first violinist of the Euclid Quartet, with whom he has won numerous national and international chamber competition prizes and performed to critical acclaim across the country. Commercial recordings of Mr. Cooper's playing with the quartet include Hugo Kauder's string quartets 1-4, the complete quartets of Bartok, and an upcoming disc of Dvorak and Wynton Marsalis.